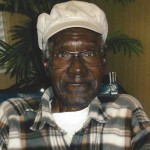 « Michael L. Chambers, Jr.
Benjamin Frank Coleman, age 93, was born on July 12, 1925 to the late Eddie and Mattie B. Coleman of Tigall, Georgia. He entered into eternal rest on March 3, 2019 at Holston Health and Rehabilitation Center. Benjamin retired from Kern’s Bakery with thirty-two years of service. He was a member of Greater Ebenezer Baptist Church. He is preceded in death by his parents, Eddie and Mattie B Coleman; devoted wife, Eddie B. Coleman; brothers: Robert, Paul, Nathaniel, Don, John and Clemon Coleman; sister, Carrie Mae Coleman; daughter, Freida Ann Vinson; grandson, Orlando Deray Bennett. He will be forever missed by his devoted daughters: Charlene Vinson, Victoria (Cliff) Starnes, Deriesa and Connie Coleman; devoted niece, Pamela Anthony; grandchildren: Keywonder Vinson, Keandrea Carter, Teenara Drew, Bando Vinson, Quawndell Drew and Montess Burt; sisters-in-law: Betty Appling, Alma Johnson [of Eufaula, AL] and Annie Keith [of Bartow, FL]; 14 great-grandchildren; 6 great-great-grandchildren; a host of nieces, nephews, cousins and friends; special friend: Willie Mae Eleby; very special thanks to all the staff at Holston Health and Rehabilitation Center. The family will receive friends on Saturday, March 9, 2019 from 12-1 PM in the William V. Powell, Jr. Memorial Chapel of Unity Mortuary, with the Celebration of Life Service to follow with Rev. Mitchelyn Thompson officiating. The final resting place will be at Sherwood Memorial Gardens following the service. A white dove release will conclude the services. This obituary was posted on Sunday, March 3rd, 2019 at 9:09 am. In this sorrowful time, we would like to extend to you our heartfelt condolences. May our Lord comfort you and your loved ones. I know that what you are going through right now is very difficult, just know that I am here for you. I am truly sorry for your loss.